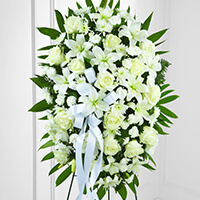 Provide comfort for the family of Octavio Taborda-Alvarez with a meaningful gesture of sympathy. 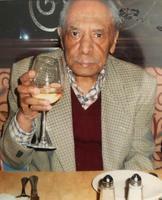 Octavio Jesus Taborda-Alvarez, 96, passed away peacefully surrounded by his loving family. Octavio was born January 13, 1922 in Colombia to the late Salvador Taborda and Santos Alvarez. As a young man he met and fell in love with his wife of 61 years, the late Libia Taborda. Octavio was employed as a mechanical engineer for many years in his native Colombia before immigrating to the United States. Octavio was a man of love, laughter and strength. He is survived by his 10 children, 20 grandchildren, 29 great grandchildren, and 2 great-great grandchildren. 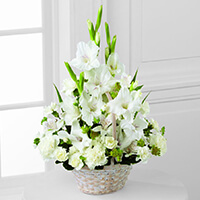 To send flowers in memory of Octavio Jesus Taborda-Alvarez, please visit our Heartfelt Sympathies Store. We encourage you to share your most beloved memories of Octavio here, so that the family and other loved ones can always see it. You can upload cherished photographs, or share your favorite stories, and can even comment on those shared by others. Ramiro Salazar & Family, Familia sanchez pimienta , and others have sent flowers to the family of Octavio Jesus Taborda-Alvarez. Nuestras mas Profundas condolencias en estos momentos tan dificiles y Que Su adorado padre descance en santa paz. Ramiro Salazar & Family purchased the The FTD Exquisite Tribute Standing Spray for the family of Octavio Taborda-Alvarez. Señor no lo diste para nuestra dicha, te lo regresamos resignados pero con el corazón traspasado de dolor. Descanse en paz Don Octavio Taborda. Familia sanchez pimienta purchased the The FTD Eternal Affection Arrangement for the family of Octavio Taborda-Alvarez. 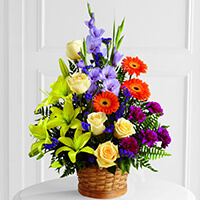 The Wilton Surgery Center purchased the The FTD Forever Dear Arrangement for the family of Octavio Taborda-Alvarez. 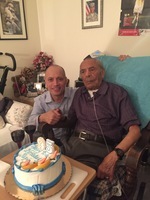 Celebrating the 95th birthday of the single most influential male figure in my life. Gracias Abuelo por tu amor incondicional.